It’s known as the most common cancer-causing protein, directly responsible for 30 per cent of all cancers and indirectly involved in virtually all cancers. 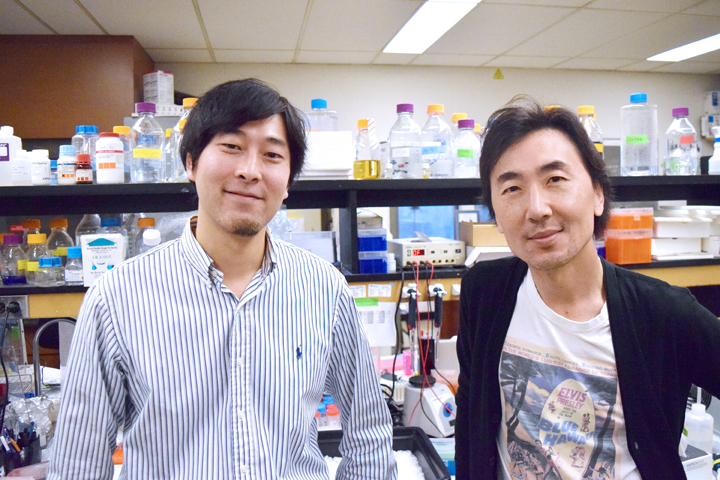 For over 30 years, scientists have failed to successfully target it, but now researchers from U of T can turn this protein off with an experimental drug. Normally, Ras promotes cell growth, but it can also cause uncontrolled cell growth when mutated or deregulated. As a result, this protein is a key player in many forms of cancer and is mutated in over 90 per cent of pancreatic tumours — one of the deadliest forms of cancer. Working with researchers from Indiana University and Toronto’s University Health Network, the team tested a SHP2 inhibitor on mice with glioblastoma, the most common and aggressive type of brain cancer. Remarkably, the inhibitor reduced these tumours by over 80 per cent. The researchers’ findings were recently published in Nature Communications. researchers will use this evidence to support future human clinical trials. While their research is still in its early stages, Ohh and his team hope that their discovery will open up new perspectives in the field and potentially change cancer treatment.